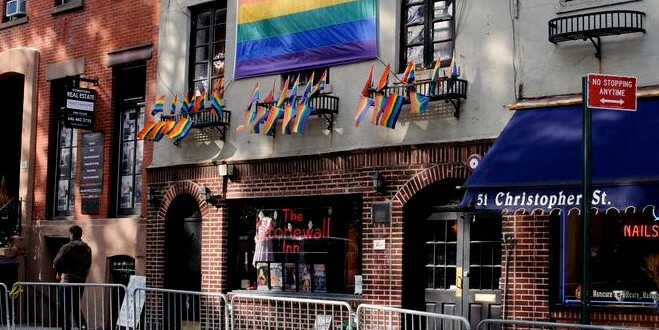 NEW YORK CITY: President Obama Poised To Declare Stonewall Inn A National Monument To LGBT Rights - Joe.My.God. President Obama is poised to declare the first-ever national monument recognizing the struggle for gay rights, singling out a sliver of green space and part of the surrounding Greenwich Village neighborhood as the birthplace of America’s modern gay liberation movement. While most national monuments have highlighted iconic wild landscapes or historic sites from centuries ago, this reflects the country’s diversity of terrain and peoples in a different vein: It would be the first national monument anchored by a dive bar and surrounded by a warren of narrow streets that long has been regarded the historic center of gay cultural life in New York City. Federal officials, including Interior Secretary Sally Jewell, National Park Service Director Jonathan B. Jarvis and Rep. Jerrold Nadler (D-N.Y.), will hold a listening session on May 9 to solicit feedback on the proposal. Barring a last-minute complication — city officials are still investigating the history of the land title — Obama is prepared to designate the area part of the National Park Service as soon as next month, which commemorates gay pride. Teabagistan will be ever so pissed.